We’ve heard about celebrities such as The Game, Pearl Jam, and Cher contributing to the Flint, Michigan water crisis, so it’s not surprising that Detroit native Aretha Franklin, showed some R-E-S-P-E-C-T for the gravity of the situation. In a serious feel-good move, the R&B star is reserving enough rooms to house up to 50 of the city’s residents in the Southfield Holiday Inn in nearby Detroit, with the Coney Island restaurant providing catering. 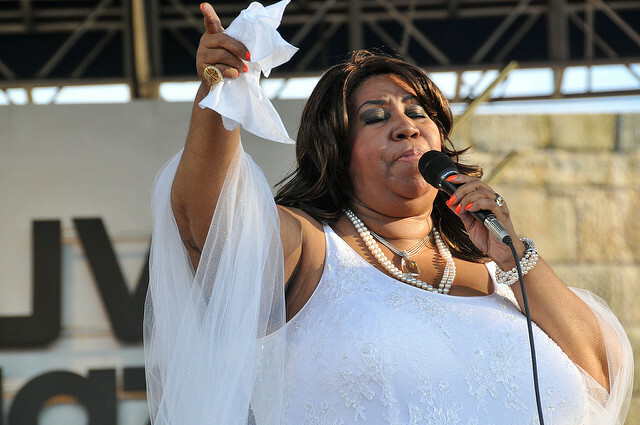 Flint residents who wish to apply for the accommodations will go through a pre-screening at Detroit’s the New Bethel Baptist Church where Aretha’s father used to minister. No word on how long the hotel rooms will be available at no cost.